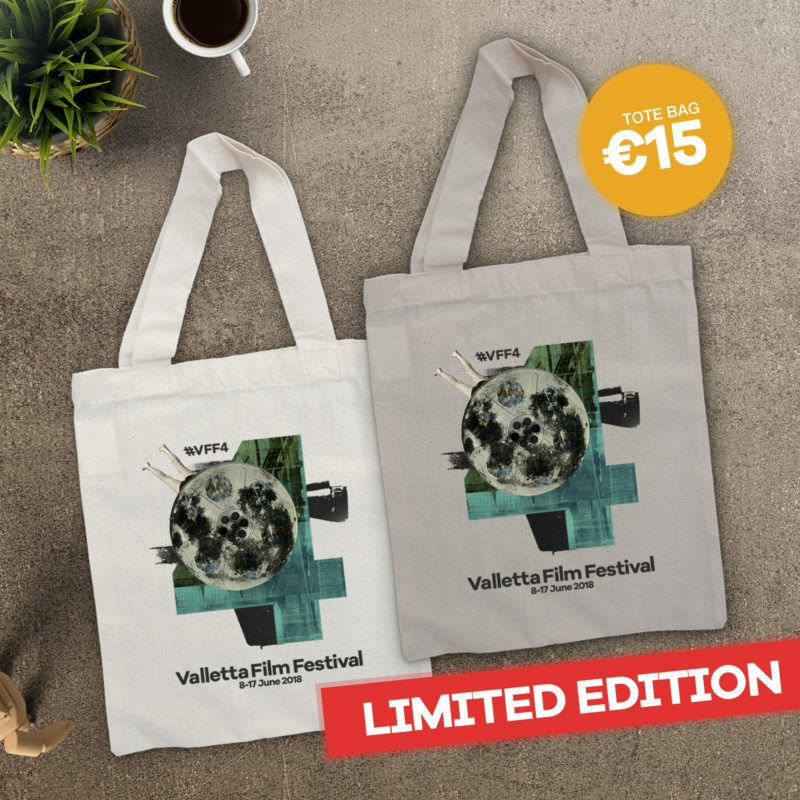 A limited number of T-shirts and Tote bags of Valletta Film Festival 2018, designed by local visual artist Ritty Tacsum, are available for purchase online and from the box office of the festival at Pjazza Teatru Rjal. 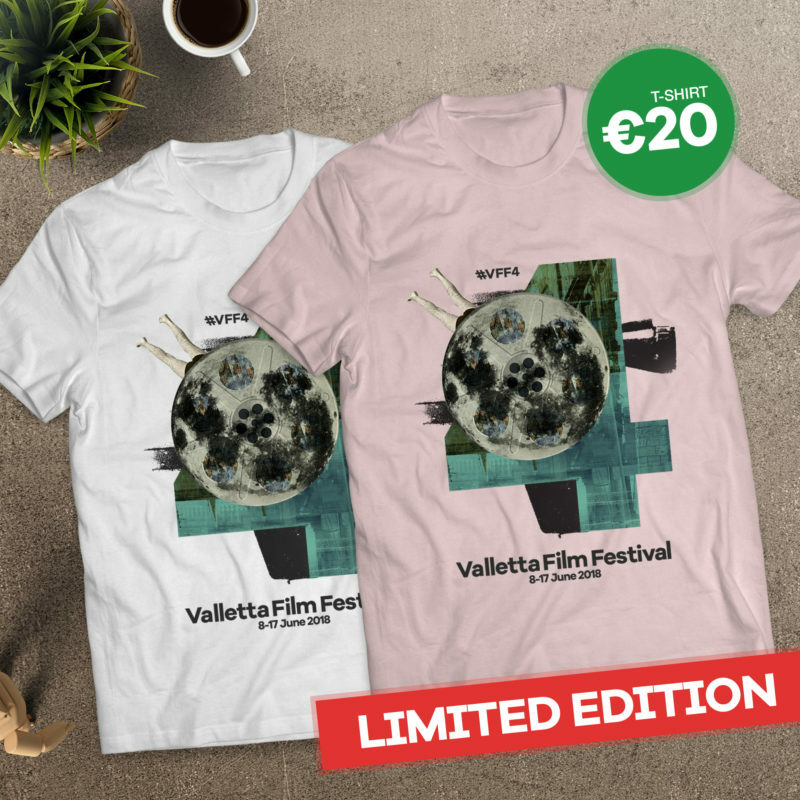 T-Shirts, costing €20 are available in White or Pink whereas the Tote Bags are available in White or Gray for €15. Click on the respective images to make your order. 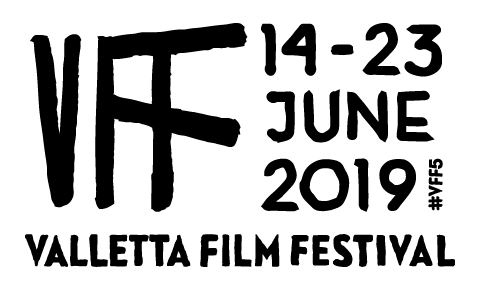 For the festival’s full Screening schedule click here. For the festival pass click here.